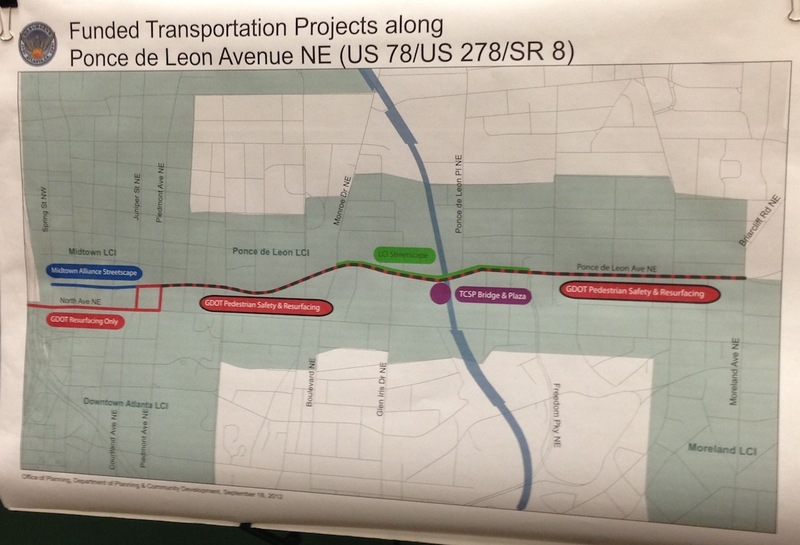 On Feb. 7, John Wolfinger and I attended the City and BeltLine’s Open House about the planned improvements to Ponce de Leon Avenue. 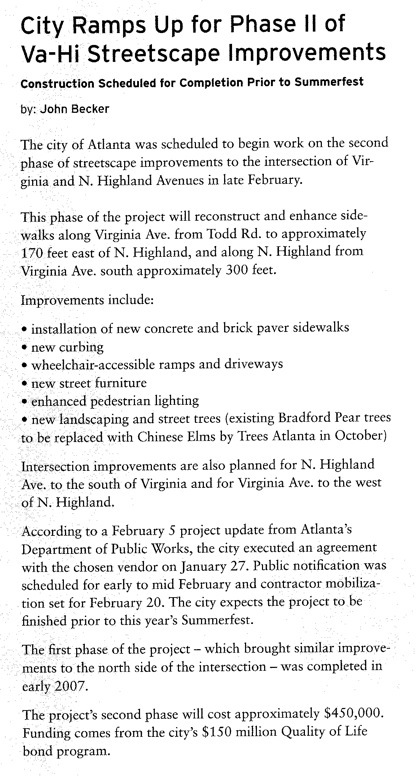 Here were the improvements discussed: note, #3 is a very big change! 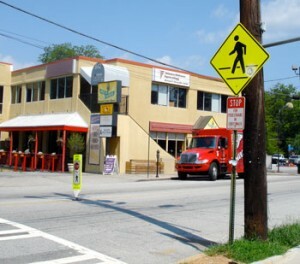 b) as far east as Ponce de Leon Place, a bike lane in each direction. The bike lanes will be buffered from the car traffic by barriers approx. 1 to 2 feet wide. Unfortunately, the road is not wide enough so that the bike lanes can stretch as far east as Freedom Parkway. 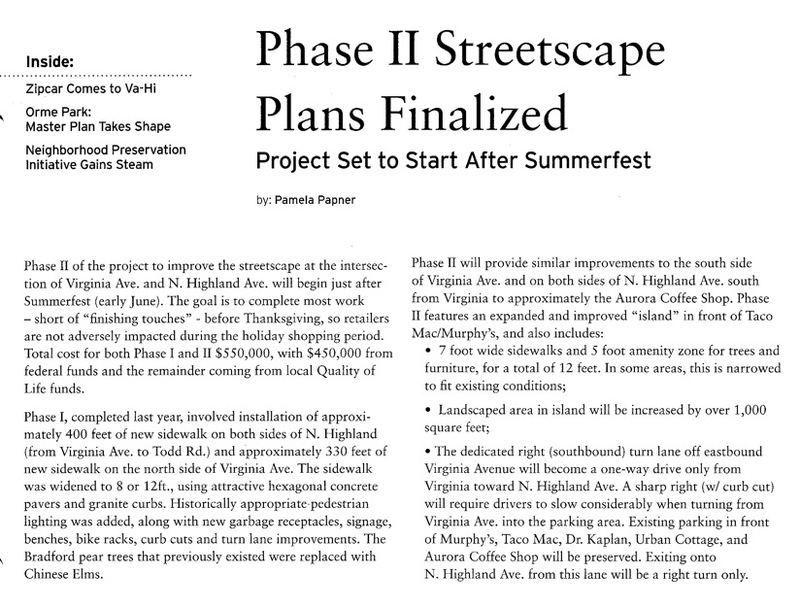 The City rep told us there is not a fixed date, but he expected the work to be completed in the summer. 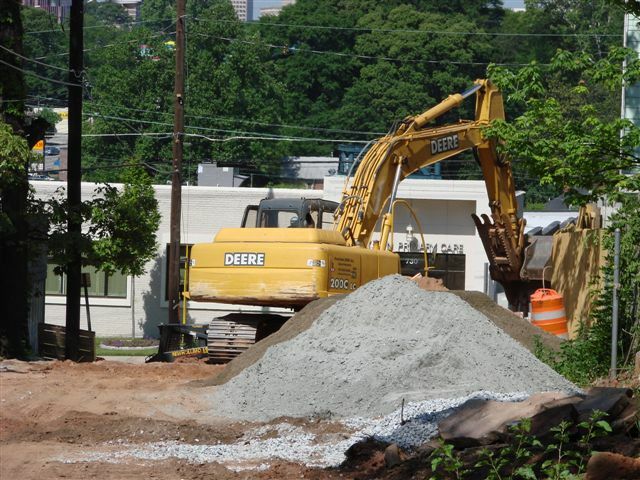 – A plaza that will let pedestrians walk between the BeltLine and the rail shed along the east side of Ponce City Market. (The rail shed will be turned into retail and food outlets). 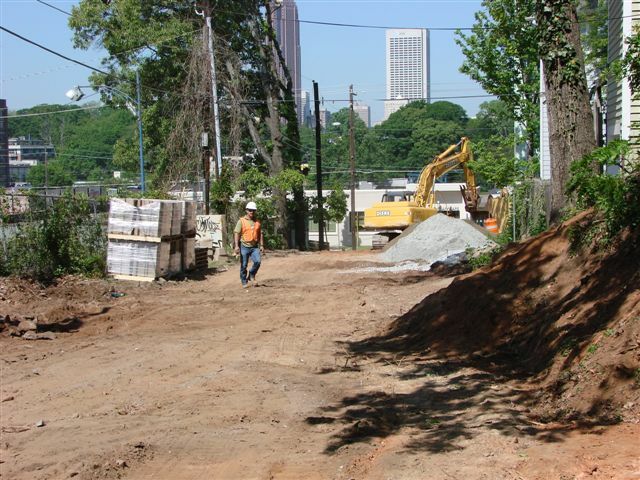 The BeltLine is hoping that funding will also allow for a ramp at North Avenue. 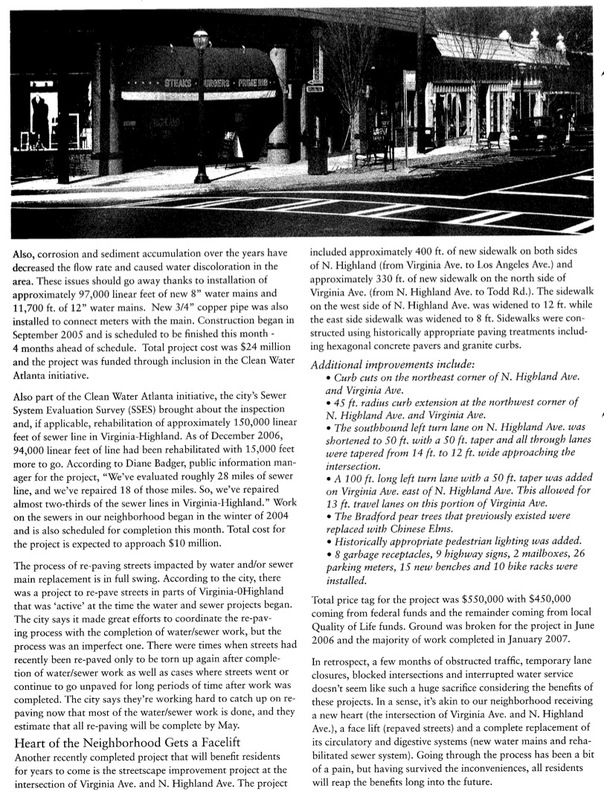 Well, that will connect Ponce City Market – but what about access from Ponce itself, without going through the Market? (I asked). 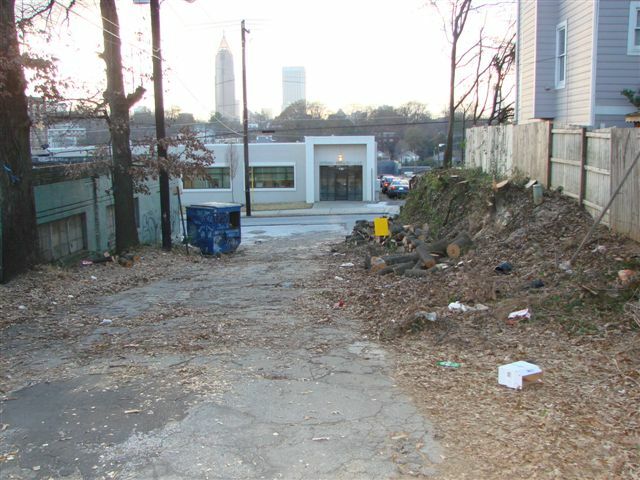 The City planning rep told me that there are plans for a ramp to the BeltLine from the CVS on Ponce and also the Ponce City Market is considering an elevator from the top level of the rail shed down to street level. 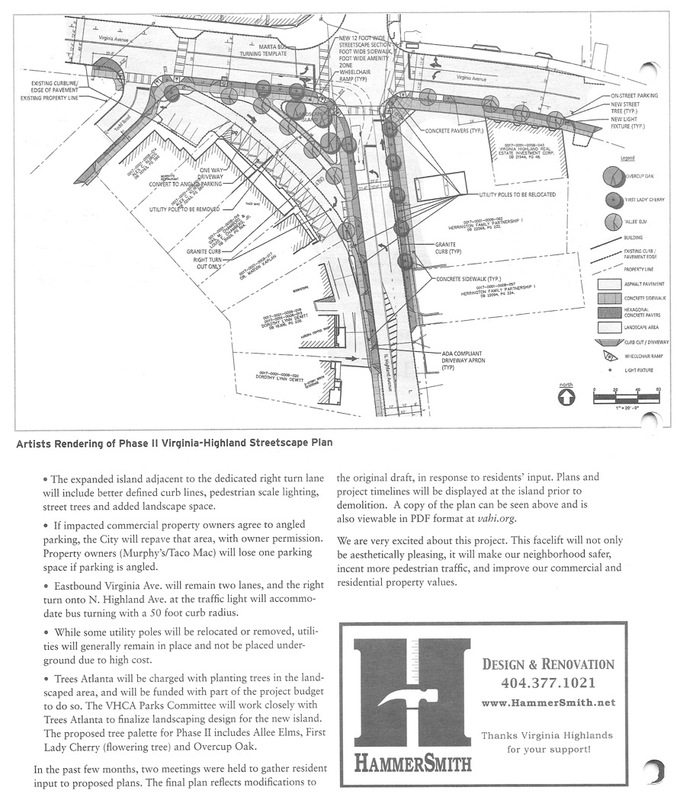 On a related note, here are some links to some additional projects underway in Midtown: project descriptions on the Midtown Alliance website and a recent progress report published on the Midtown Patch site. 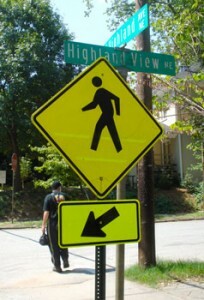 Thanks to the efforts of VHCA Graffiti Task Force chair Laura Voisinet, city workers recently installed ten shiny new traffic signs along North Highland Avenue. 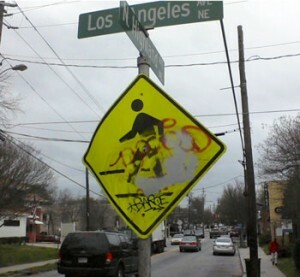 A new speed limit sign and new fluorescent signs warning motorists to look for pedestrians in the crosswalk replace ones that were damaged and plastered with stickers and graffiti. 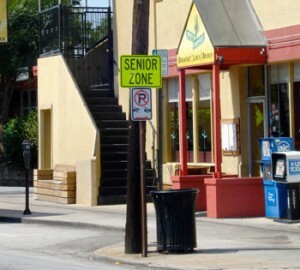 Several mid-crosswalk pedestrian warning signs were also replaced or repaired, and signage was added alerting motorists to the possible presence of senior pedestrians. “The new signage is the result of a fruitful exchange between our task force, the city of Atlanta’s graffiti task force, and the city’s public works department,” says Voisinet. 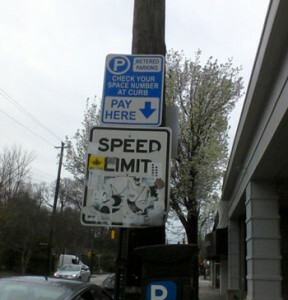 “We want to especially thank Officer Brad Etterle, the Atlanta Police Department’s designated graffiti abatement officer, and Keith Fleming, chair of the city’s graffiti task force, for helping get these signs installed and for their ongoing help fighting graffiti in our neighborhood,” Voisinet adds. Voisinet encourages all residents to help keep the new signs looking good by removing any stickers that are applied, and contacting the task force at graffiti@vahi.org to report any tagging that needs to be removed. Way to go Laura and task force! …with brand new fluorescent signs like the ones in the photos below. 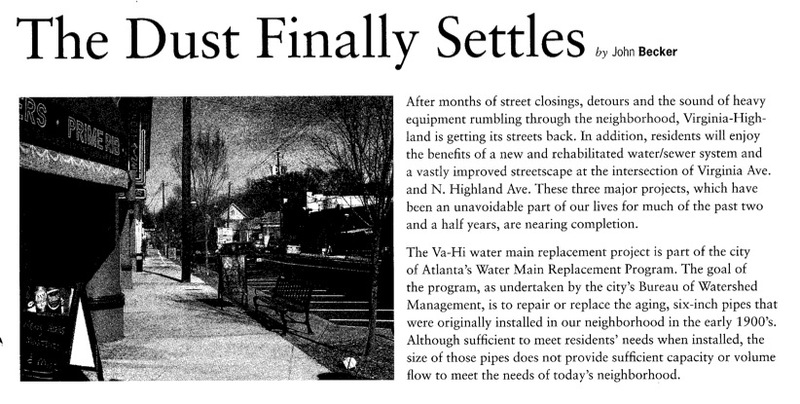 When our neighborhood was originally platted, it included alleys running behind many of our houses. Some alleys were used for service access and/or utilities, while others were never actively opened. 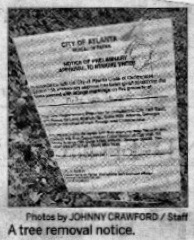 You can see the alleys on City plats and maps officially http://gis.atlantaga.gov, as well as Google maps unofficially. They appear as a narrow strip between properties. The alleys were generally 10 feet wide. 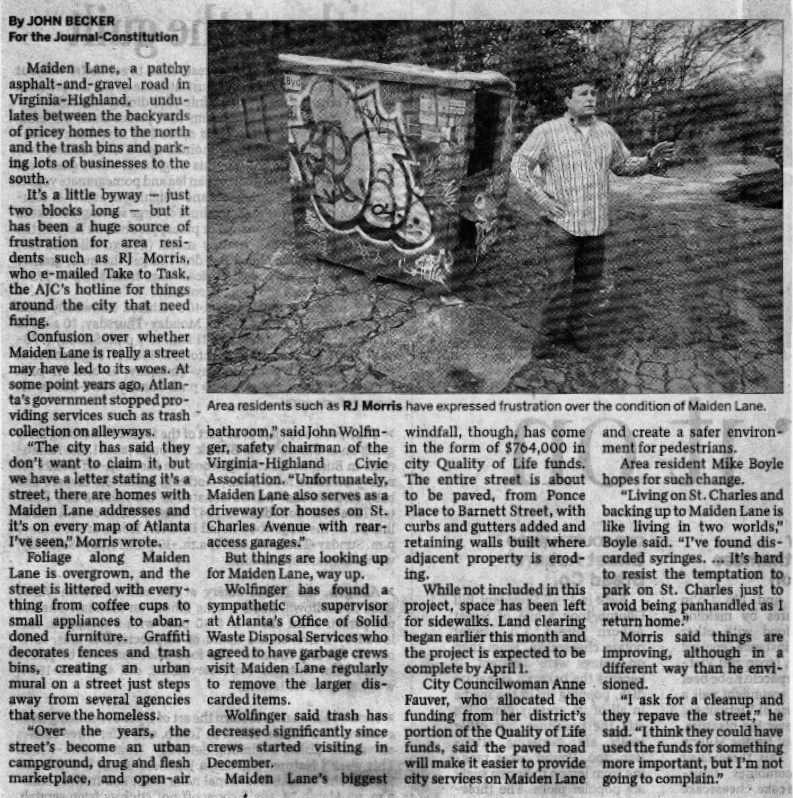 Here is the story on alleys. In the 1970s, Mayor Jackson and City Council abandoned all City alleys except 3 located downtown. 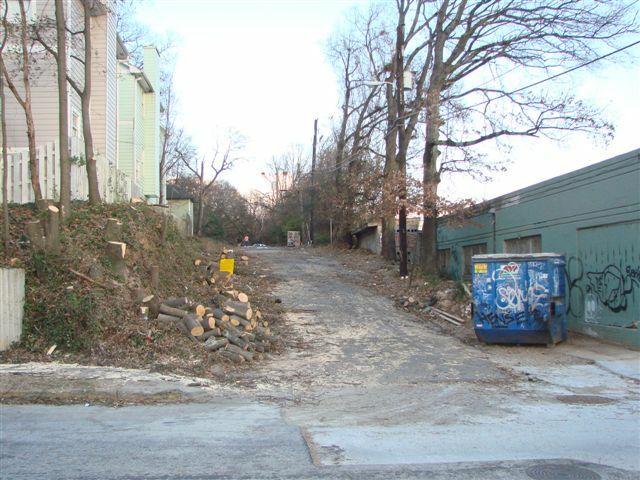 The City does not have a good complete record of what alleys it used to own – which may be one reason that they abandoned them en masse. This is no fault of our City employees today; records were a bit less formal around the turn of the century. When abandoned, the alleys became the property of the adjoining properties, half to each property. For example, 5 feet of a standard 10 foot alley became the property of each adjoining house (or church or commercial establishment). 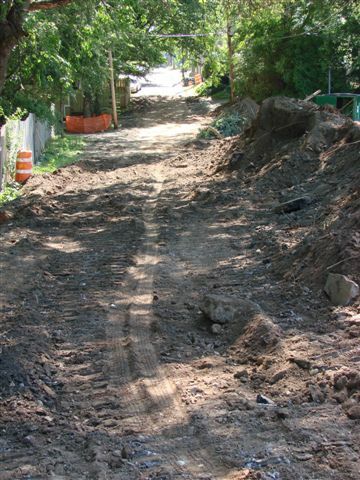 The alleys then became the maintenance responsibility of the property owner. 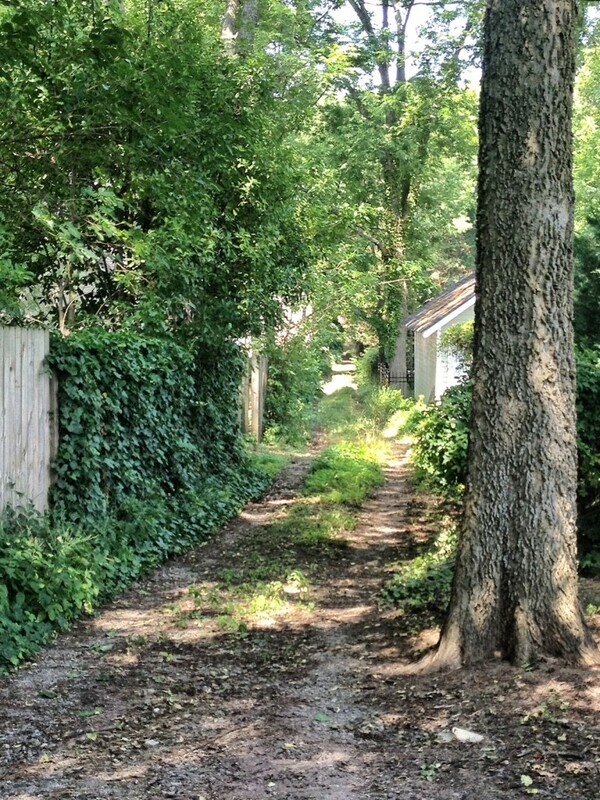 There is a restriction that access through the alleys had to be maintained by the property owner unless all the property owners adjoining the original alley agreed to make the alley impassible. 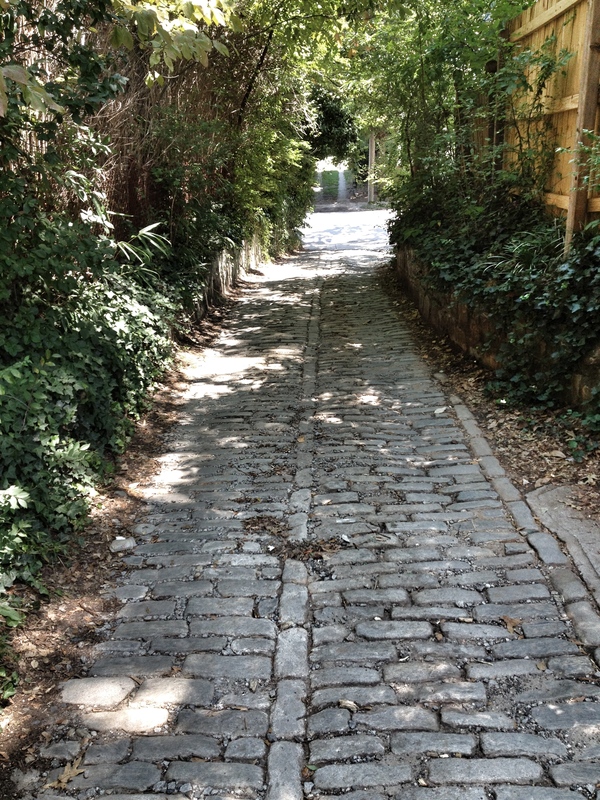 Many alleys have been absorbed into the adjoining yards, fenced, and landscaped so they are no longer passable. This often happened by acquiescence rather than formal agreement meaning there is not a signed document, but since all the homeowners have taken the land they have effectively agreed. The property’s share of the alley is measured as part of the property for building permitting purposes, which is a significant benefit. If you are on an alley, you may already maintain part within your garden. If not, maintenance is still the responsibility of the adjoining homeowner. In a neighborhood of valuable land and small lots, alley share is beneficial. 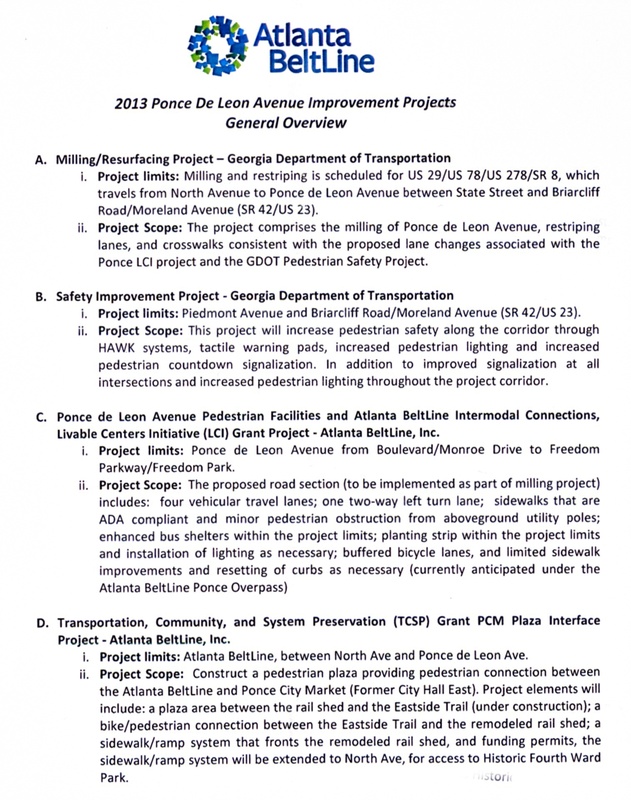 Over the past four months the City has processed our list of street improvements and we are assembling a new list of trouble spots and repairs that are now needed. Please be our eyes in the neighborhood. 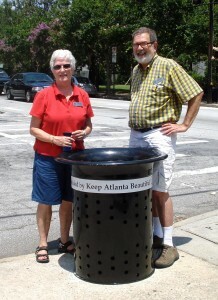 Email Peggy Berg pegberg1111@gmail.com with any streets issues that need attention. – How healthy are your trees?